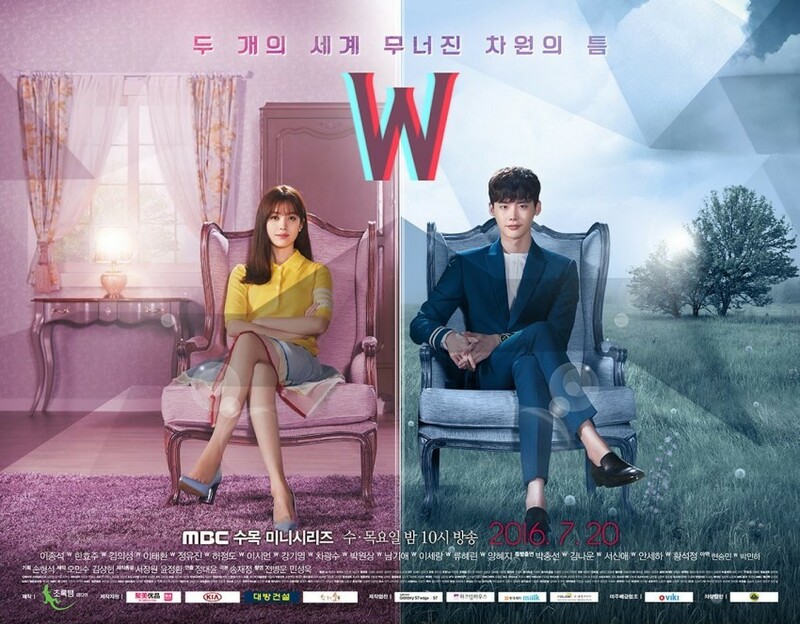 W 더블유 – 2016 Kdrama *Spoilers – PINKKLOVER. This drama had me on the edge of my seat in both episodes! It is fantastically written and surreal to think that the world inside a webtoon can become a reality! There are twists and surprises which can definitely shock you – well, it is a suspense drama. The first episode begins with the young Kang Chul (Lee Jong Suk) winning the 2004 Athens Olympics. Then the scene suddenly changes to a few years later which we are given a shocking situation – his family gets murdered. Since he was the person first at the scene, he was labelled as the primary suspect and unfortunately there were no other suspects at this stage. We get close up shots of Kang Chul’s scared face as he gets interrogated fiercely by the prosecution but it was heartbreaking to know that he missed his family’s funeral and couldn’t say goodbye to them properly. Suddenly, we get pulled into another world where Oh Yeon Joo (Han Hyo Joo) lives in as a female doctor. We see her getting busy running around the hospital frantically to find her superior. 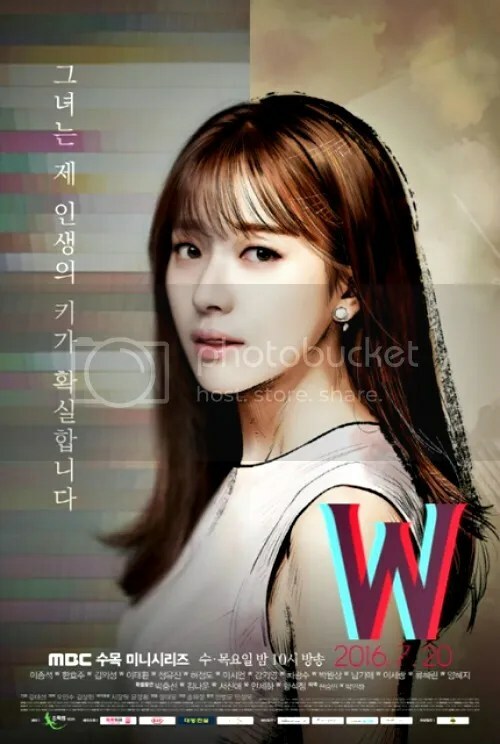 Here, we learn of her father who’s a famous webtoon writer Oh Sung Moo for his manwha ‘W’. Then, OYJ receives a call from her father’s assistant who exclaims that her father is missing! At first she wasn’t worried but with the deadline for ‘W’ coming up and the fact that none of the father’s assistants saw him getting out of his room, OYJ begins to get worried. 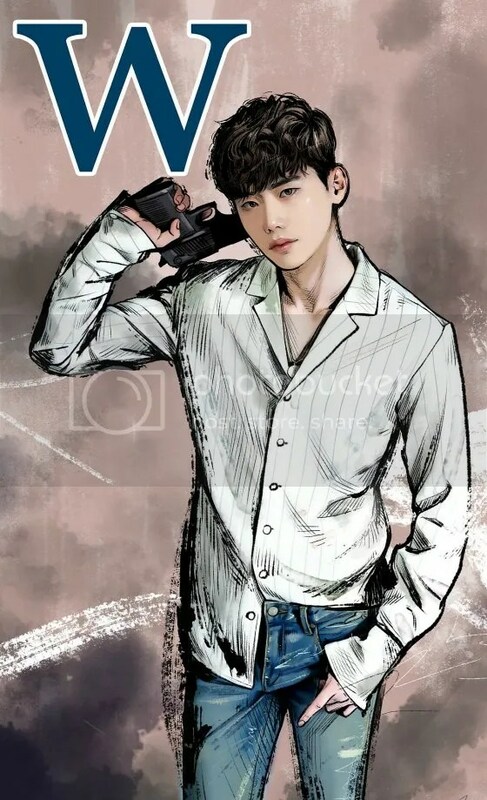 After learning that her father plans to kill of Kang Chul (we get shots of his creepy smiles while he was drawing Kang Chul’s ‘death’), OYJ becomes distraught – I will be too if someone is killing off my favourite character! Anyways, they came to the conclusion that some fan may have learned of Kang Chul’s impending death and kidnapped the writer so they decided to call the police. I think I’m going to stop here as I believe you should definitely watch the drama instead of reading the recaps. 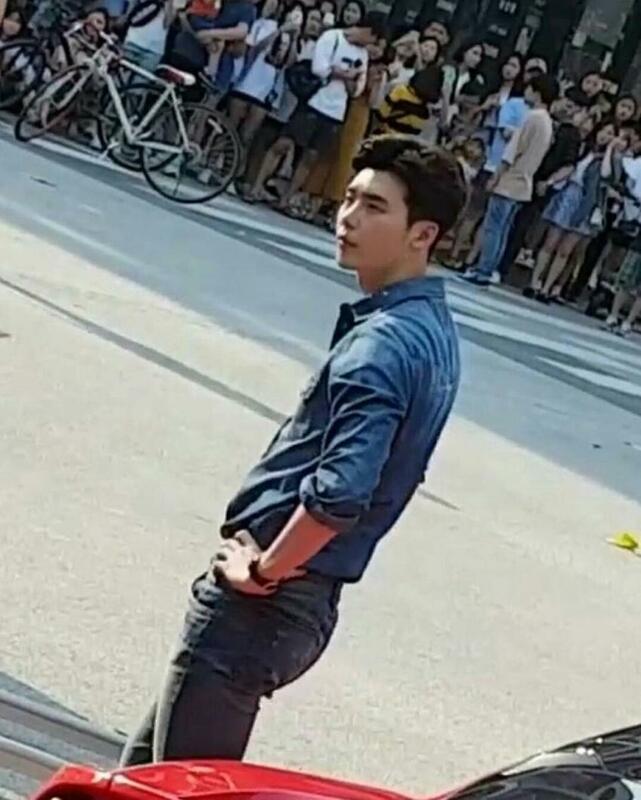 Plus, why would you not watch it to see Lee Jong Suk on screen? I screamed at my laptop in ep 2 several times especially when he was wearing denim on denim! Honestly, he pulled it off so well!!!! Plus, the unsuspecting kiss on the male lead was a good one! Ep 2 definitely raised my expectation for the future episodes – can’t wait for next week to arrive! Also, I should add…I think OYJ’s father might be the murderer. He’s so adamant to kill off Kang Chul – basically, the creator killing his creation. Nevertheless, from the preview for ep 3, Kang Chul might not be as innocent as we thought. I don’t know. I hope I’m wrong but it looks like we need to wait for the future episodes to be publicised. Until then, we can only foster our thoughts ourselves.